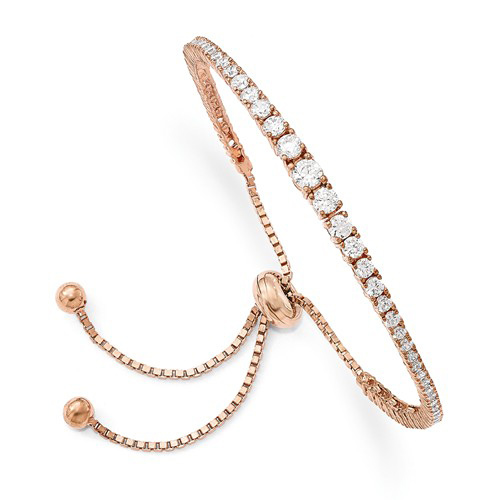 Adjustable cubic zirconia tennis bracelet is made of rose gold-plated sterling silver. Adjustable from 5in to 9in. 189 round cubic zirconias. Box link chain and ball tips. Weight: 6.1 grams. Import.